RoCkaNdFRoCk: PuT a (EaR)RiNG oN iT. 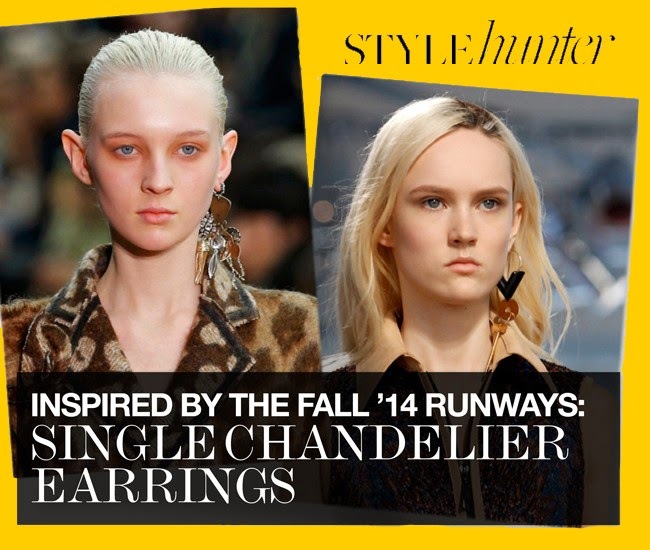 While watching ( for hours ) all the latest A/W Fashion Shows from Paris I've noticed that Céline brought on the catwalk models with just one single earring, even Style.com noticed it ( picture above ) so - after the earcuff - this will be probably one trend for the season…I don't like that much the mono-earring ( that also a couple of Springs ago tried to be in fashion without success ) I feel like I forgot something at home…while the earcuff is a new accessory I'm in love with! Spulciando le passerelle per l'Autunno-Inverno prossimo ho notato che Céline ha proposto il monorecchino, l'ha notato anche Style.com per cui è molto probabile che la cosa andrà…personalmente non mi fa impazzire, preferisco allora l'earcuff che almeno è un accessorio un po' più' nuovo…poi 'sta cosa dell'orecchino singolo era già andata ( con scarso successo ) qualche estate fa ( sei a corto di idee Phoebe????? ) per cui - avrete capito - non sono entusiasta…Buon Lunedì!!!!!!!!!!!!!!!!! Anch'io sono d'accordo. Ha più senso il trend dell'earcuff. I love the Givenchy sharks tooth earrings for just one ear they are perfection! Concordo con voi, a me piace se declinato nella versione earcuff e portato con i capelli raccolti tutta da una parte..però questi no no.. I love the Givenchy sharks tooth earrings for just one ear they are great! Sì infatti me lo ricordo anche io e nemmeno a me piaceva granché! To SLiDe oR NoT To SLiDe?????????? i COuLD KiLL FoR THiS HeeL. aFTeR a WHiLe, a BaLeNCiaGa i LiKe.